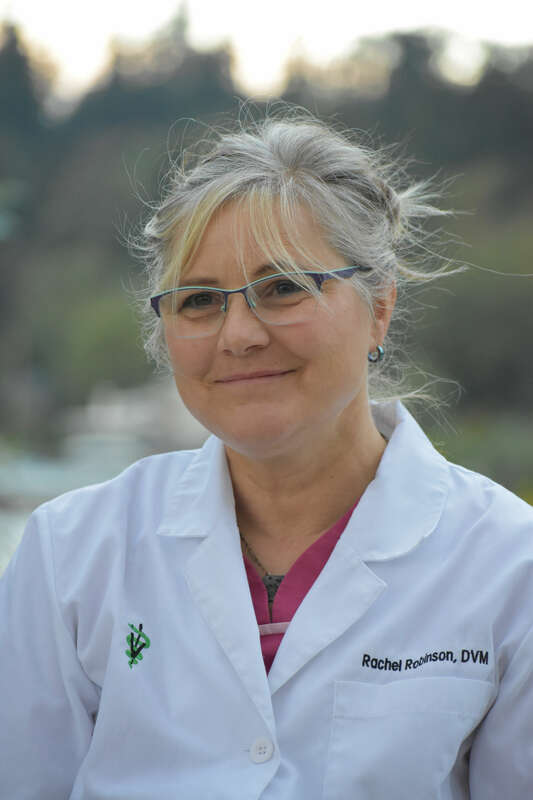 Originally from Kalamazoo, Michigan, Dr. Robinson earned her DVM at Michigan State University and has been part of the Juanita Bay medical team since early 2018. She believes that pets are very good for people and strives to facilitate that bond through her work, where she has a special interest in internal medicine, dermatology, and soft-tissue surgery. Dr. Robinson has an extensive history in animal rescue and helped co-found Rebecca’s Rainbow, and is an avid mountain biker who leads rides for the Evergreen Mountain Bike Alliance. She shares her home with husband Jeff, two dogs and two cats.